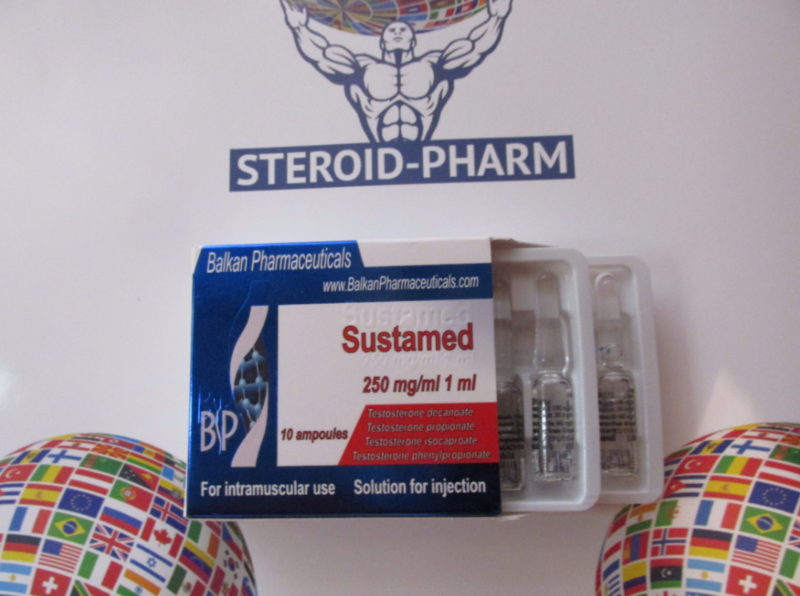 Sustamed drug is used not only by bodybuilders. It is in a very high demand among representatives of different kinds of sports. The Sustamed gives very good results in muscle building and stamina improving. Due to the fact of high effectiveness of this drug it is used by boxers, athletes and even football players. Purchasing drug from our website the client can be sure that he takes Sustamed directly from the manufacturer. Cases of trading fakes have become incredibly frequent today. You have to be very careful in order to prevent causing harm to your health by taking low-quality fake drug. We recommend you to buy Sustamed, the price of which is not the lowest on all available websites because of the fact, that a very cheap product is most likely to be a fake, which will not only be absolutely useless, but may also have a bad effect on your health condition. The drug accelerates the production of proteins, which contribute to the rapid growth of muscle mass. In addition to this, the drug contributes to increasing the body's strengths, while not provoking the effect of catabolism. After completing the course, Sustamed can be found in the blood for four months. Nowadays many athletes recognize Sustamed as one of the best drugs for rapid muscle mass gain. This is facilitated not only by the effects that the athlete receives while taking the drug, but also that the effect of recoil after using the drug is minimal. This was the main reason for the very high popularity of this drug worldwide while taking a mass-selective course. 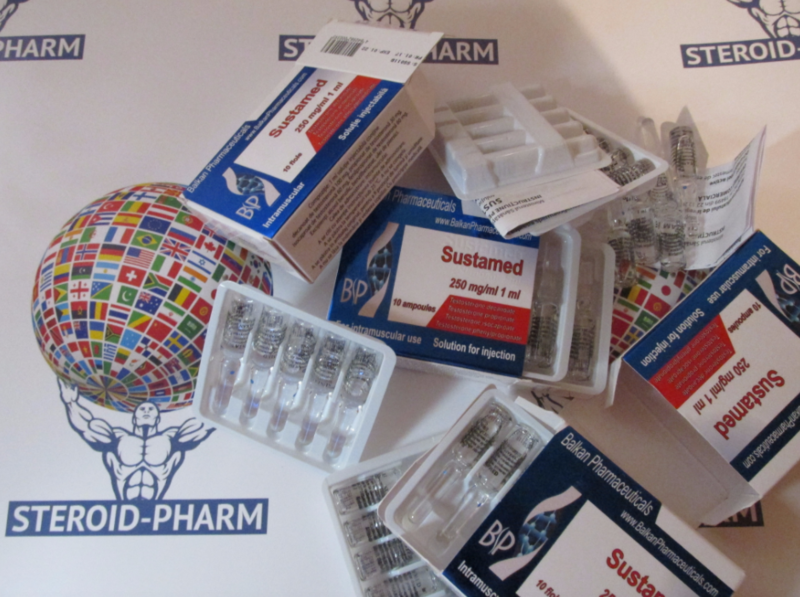 The Sustamed in the majority of cases is taken from six to eight weeks, in an amount of 250 to 750 mg per week. Bodybuilders with experience can increase the dosage to 1000 mg per week. However, inexperienced athletes are highly recommended not try to increase the effectiveness of Sustamed by increasing the weekly dose. You should always start from taking the lowest dosages. For a course which duration is be eight weeks, you will be able to gain from eight to ten kilograms of muscle mass. In order to increase the effectiveness of this drug you can combine it with other steroids. Nowadays the following combinations are popular: Sustamed + Anapolon; Sustamed + Danabol. To minimize possible side effects it is recommended to use the following combinations: Sustamed + Tamoximed; Sustamed + Proviron; Sustamed + Anastrozole. Sustamed oppresses the production of own testosterone in human organism. And the higher the dosage and the longer the course of application is, the more its effect is expressed. The drug should not be taken by adolescents, as well as by female athletes, because in many cases the effect of virilization occurs. However, some women take a risk and use this drug. In this case, the maximum dosage should not exceed 250 mg, and the duration of the course should not be more than six weeks. You can always buy Sustamed on our website. Even if the drug is not available, we will order it directly from the manufacturer as soon as possible and contact you to confirm the order details. Our customers always return to our website again and again with an enviable regularity. We offer you to become one of them and fully appreciate all the advantages of our online store.